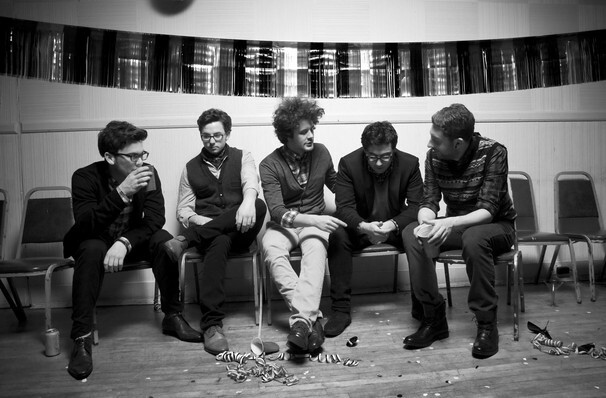 Since the release of their debut album in 2009, Passion Pit have only grown in strength. Their cover of 'Dreams' by The Cranberries featured on a Netflix Original series and their second studio album, Gossamer, which was released in 2012, hit No. 4 on the Billboard 200 when it debuted, giving the band their first album to make it into the top 10. A few years later they released their third album, Kindred, which featured lead singles 'Lifted Up (1985)' and 'Until We Can't (Let's Go)'. 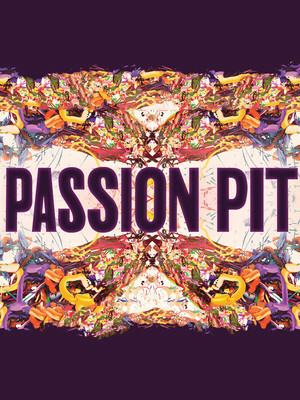 In 2017, Passion Pit self released their fourth album to Michael Angelakos' Twitter followers, before releasing to the public three months later. Sound good to you? Share this page on social media and let your friends know about Passion Pit at Rapids Theatre. Please note: All prices are listed in US Dollars (USD). The term Rapids Theatre and/or Passion Pit as well as all associated graphics, logos, and/or other trademarks, tradenames or copyrights are the property of the Rapids Theatre and/or Passion Pit and are used herein for factual descriptive purposes only. We are in no way associated with or authorized by the Rapids Theatre and/or Passion Pit and neither that entity nor any of its affiliates have licensed or endorsed us to sell tickets, goods and or services in conjunction with their events.